The Muslims are among the oldest residents of Macao. They first arrived as traders from Persia and the Middle East in the Ming dynasty (1368-1644), before the Portuguese, and have had a continuous presence ever since. 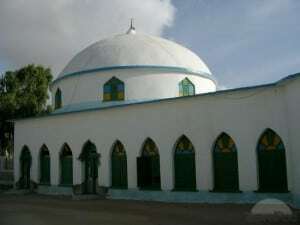 The first mosque was built in the 1880s for soldiers of the Portuguese army from south India. During World War Two, many Muslims from the mainland and Hong Kong took refuge in Macao, which was neutral. The Islamic Association of Macao (IAM) was established in 1935. Over the last 10 years, the size of the community has increased several fold to more than 10,000, with the arrival of 8,000 Indonesians, most of them domestic maids, as well as people from India, Pakistan and Bangladesh, who work in the casinos, construction, IT and the universities. “When I went to pray in 1987, there were only four-five men for prayers,” said Adnan Nasim, who arrived that year as a student at the University of Macau and has stayed ever since. He is now a senior administrative assistant in the Information and Communication Technology Office of the university and has made Macao home with his family. “Now, at prayers on Fridays, there is no place to stand. It is good to see many believers and not feel alone, separated from people. We have a covered area for prayer and the outside is open. People enjoy the space. People in Macao miss that. There is a feeling of freedom, peace and closeness to nature. It reminds us of the mosques we have at home,” he said. The arrival of Islam in China predates the presence in Macao. In AD 650. 18 years after the death of Prophet, one of his maternal uncles, Saad ibn Waqqas, arrived in Guangzhou and built the Lighthouse Mosque, the first in China. He was well received by the Tang dynasty. The mosque is still open and receives believers, foreign and Chinese, every day. Thousands of Muslims traders, from India and the Middle East, lived in Guangzhou, then the trade centre of China. In the Tang capital of Xian was built the Great Mosque, covering an area of 12,000 square metres. Founded in AD 742, it is the oldest and one of the most famous in China and is still used today. Arab and Persian merchants settled in Macao during the Ming dynasty, buying Chinese products for export to foreign markets. After their arrival in the early 16th century, the Portuguese accepted this small Muslim community and gave them land for a cemetery. They held their prayers at home. Then, in the 1880s, South Indian Muslims of the Portuguese army came to Macao and asked for a mosque of their own. This was built next to the cemetery on a site that now overlooks the reservoir next to the Outer Harbour ferry terminal. In the Macao of 2015, it is a prime piece of real estate. There was no conflict between China and the Muslims who came from overseas to settle; it was business and trade which brought them, not a desire for conquest. The mosque is a tranquil place, with trees and grass, in front of a track around the reservoir used by walkers and joggers. It has separate rooms for men and women and has covered space for about 100 people. The site also has an office of the IAM, a place for washing before prayers and a court for volleyball. The cemetery, which now contains 120 graves, was built in 1854. It is very evocative. Islam requires the dead to be buried, not cremated, within 24 hours and near the place where the person passed away. In respect of this, the central government makes an exception and allows the Muslims in the mainland to be buried rather than cremated, as is required of everyone else. The tombstones are written in Farsi, Arabic, Chinese, English and Portuguese, testimony to the many places from which the city’s Muslims originated. They include their birthplaces – Peshawar, Ludhiana, Jalandhar and Bhowapur as well as Macao. They include the tomb of Yang Gong-hui, Chinese consul to Fukuoka in Japan and Wonsan in Korea in the Republican period. Some are Chinese, many are foreign-born. A new grave is of Imam Junas Bin Amir Ahmad, a native of East Timor, who served as Imam to the Macao community for over 30 years until his passing in 2013. His brother served in the city’s police force for 35 years. During World War Two, the community grew thanks to an influx of members from Hong Kong and the mainland to escape the Japanese; they included a community from Zhaoqing in Guangdong province. After the civil war, some Muslims from northwest China moved to Macao. In the years before the handover in 1999, the Muslim community in Macao was several hundred strong. Some had moved to Hong Kong or emigrated to Australia, Canada and other countries. Each year the Islamic Union of Hong Kong, which has 300,000 believers, provided about HK$150,000 to support the community in Macao. They feel a sense of gratitude for the good treatment and protection they received during World War Two. While many in the colony were starving, the visitors received rice and lentils from their brother Muslims. With the surge of the economy after the handover, everything has changed. Thousands of foreigners have come to the city to work. They include 8,000 Indonesian maids, as well as Indians, Pakistanis, Bangladeshis and Africans who work in the casinos, security, IT and the universities. The number of visitors has also increased, for business and tourism. As a result, the mosque is bursting with people on Fridays and festival days; there is no place to stand. The site is also used as a community centre, for weddings and other important occasions. To accommodate this substantial increase, the IAM applied in 2006 to the government for permission to build a large mosque 50 metres high and able to hold 600 believers, as well as an Islamic centre and a restaurant serving Halal food in an adjacent building; it is on a site of 1,881 square metres. It also wants to construct a 38-storey residential building with a height of 127 metres. The mosque would overlook the reservoir; the centre would be built behind, with its entrance the existing gate to the compound. The centre would include a halal restaurant, a 30-room hostel and classrooms that would be used for religious instruction or could be rented out. The application also included a plan for a 38-storey residential building 127 metres tall on a site of 1,727 square metres. These two sites are on land adjacent to the current mosque. The land belongs to the IAM and is currently used as a car park. The IAM submitted the application together with a Macao developer. Revenue from sales and rent of units in the residential building would fund the construction of the mosque complex. The rest of the site, which covers 4,171 square metres, would remain unchanged. In 1996, the IAM also submitted a re-development plan, but it was not approved. A spokesman for the IAM said that the application was in full accord with all local laws and regulations, including those on land use, light, flow of wind and sun penetration. The IAM argues that the rapid increase in the community, from 1,000 before the handover to more than 10,000 now, means that the current facilities are far from adequate. The community is waiting for its new Imam, to replace the previous one who died in 2013. Since then, the community has relied on Uthman Yang and other Imams arranged by the Incorporated Trustees of Hong Kong, who come each Friday from Hong Kong to lead the prayers. Macao has five Halal restaurants – two Chinese and three Indian – serving meat that has been prepared according to Islamic rules. To call itself Halal, a restaurant must be certified by religious experts. “Macao is a good place to be a Muslim,” said Nasim. There is no prejudice against them nor the hostile sentiment that is growing in Europe and North America because of the atrocities committed by Islamic State. “We feel blessed. There is so much going wrong in our country (Pakistan). When we visit, we feel uncomfortable, because we do not know where the bullets might be coming from. Everyone looks forward to a new mosque. It would be a contribution to Macao. It is such a nice place,” he said.